Tonight, we are expecting some good, "old" friends to join us for dinner. It has been years since we served the same church together. Those years bonded us together, so the time that has transpired in the mean time is really no big deal. I fully expect us to pick up right where we left off. When last we met, their six year old daughter had just been born. I remember crying as I held that little answered prayer that her parents had waited years for God to provide. My ten year old was the age my Piper is now, four. God had already led us away from that sweet church, but they were still ministering there. In the years that have passed, a lot has changed. While my husband is in the same ministry position, they serve a different congregation in Missouri. They are preparing to send their daughter to first grade in the same month we expect the arrival of our third. God has brought various experiences and people in and out of all of our lives. We have all grown in our relationship with Him and we are not the same. Despite all the changes, we still know their hearts for our God and they know ours. We still share a passion for serving Him and seeing Him glorified. We still understand the precarious positions we can find ourselves in in ministry. This evening, we will talk about the old times as we relive inside jokes and start stories with "Remember when...." We will share new stories about what God has done in each of our lives and families since we were last together. We will look to the future as we openly and honestly share with a couple that we each explicitly trust. Friends like these, especially in the ministry, are a true blessing and, all too often, much too rare. God has provided various kinds of friends at each place He has called us to serve. Sometimes, He didn't provide friends like this couple, and taught us to lean more on Him. Sometimes, He ministered to us through friends like these. I thought it might be neat to use the comment section to write simple "Thank You" prayers for Old Friends. Even if it was just for a season, I am grateful for the time I have had with these "Old Friends." I will start us off . . .
Then I had better help Wally in the kitchen! He has gotten both the baked beans and the hash brown casserole in the oven. Now he is making the hamburger patties! Have I ever mentioned how thankful I am that God gave me a man who can cook AND enjoys doing so? Throughout the Bible, names have had a great deal of meaning. God gives and even changes names. Their meanings are not accidental. Even the many names we have for God Himself are valuable to our understanding of Him and our spiritual growth. My husband, Wally, and I have taken naming our girls pretty seriously. Not only are their names an intricate part of their identity, we also pray that their names will "fit" them, truly describing who they are. Our oldest daughter is named after the minister who performed our wedding and his family. Their surname, Riley, is her first name. Her middle name is my grandmother's name, Christine. We were only able to finalize her name when I researched the meanings and put them together: Riley Christine- "valiant Christ-follower." We have prayed this would describe her from that day forward. Piper Gail is our second born. "Piper" is an author who has been influential to both Wally and myself. The meaning of "Piper" is "one who plays the pipe." "Gail" is my mother's middle name and is short for "Abigail," meaning "her father's joy." Our prayer is that Piper will live her life in such a way that she brings joy to her Heavenly Father and is an act worship to Him, just as an instrumentalist would play his or her "pipe" in an offering of praise. We have chosen a name for our third little girl who we are expecting to make her appearance near the of September. "Eliza" is short for the Biblical name "Elizabeth" and means "oath of God." Her middle name will be the same as Wally's mother, Joy. We are already praying, giving this life back to the One who is entrusting her to us, that she will be so committed to Him that He will fill her life with His joy that He can use it to transform the lives that surround her. I have enjoyed sharing with Riley how and why we chose her name. I look forward to having similar conversations with her sisters as God provides the opportunities. I want to be intentional to point all three of them back to Jesus with every chance I have. I also want to point them to His various names and meanings too. Throughout my journey with Christ, different names of His have held more meaning to me. As God has revealed something to me about His personal nature or how He cares for me, certain names have just seemed to come alive to me. During this season, Provider and Sustainer have fit. With the loss in my family, being nearly 37 and pregnant, and in all the craziness going on around us in this fallen world, He has been, continues to be and promises to remain both to me. What about you? What names of God have taken on new meanings in your spiritual life lately? What is God revealing about Himself to you through His own names? Yesterday after the second service at our church, I called my husband on the way home. (Is your family like ours, most often driving 2 vehicles to church because of various meetings and commitments?) Wally, who works for our local association, had just finished preaching three services for one of the other churches in the county. We agreed that I would pick him up and we would head to a Zaxby's for a quick bite to eat because the "grocery fairy" hadn't visited our house in a long while. As we entered the restaurant, we quickly noticed how full the fast-food, chicken chain was with most every table taken. I spied friends from our home church and they waved us over to claim a table near theirs. Wally ordered and I began the prepping the table with our young daughters. Eventually, we did get to eat. The staff was quick to clean up the sticky mess and a new cup of soda was gotten. Wally explained to me why half the patrons at the place looked so familiar to me. There were at least three churches from our association present. Looking back on it now, I pray that our reaction to our daughter's accidental spill modeled a Christ-like response. Yes, if I handled things poorly I had the potential of being "discussed" literally all over the county. But, honestly, that didn't enter my mind at the time. You see, Ladies, we, not as ministers' wives, but as Christians are ALWAYS on display. Clarksville is the 5th fastest growing area in the United States and has an un-churched rate of over 80%. These two facts are mind-staggering to me. The odds are pretty good that 8 of every 10 people there didn't know Jesus yesterday. If we hadn't handled the spilt soda well, not only would we not have represented the association well, we would have also misrepresented our Jesus. It was obvious that we had our Sunday church clothes on. What kind of hypocrites would we have appeared to be if we had reamed out the girls right there . . . literally in front of God and everyone? Yes, being a minister's wife does hold me to a DIFFERENT standard, but it is no higher, or better, or harder than being held to Christ's standard. He has called me to holiness. He is whose name I represent. He is my true audience of One. Just a reminder this morning that He is the One we serve. As ministry wives we often talk about how important it is for Believers to pay attention to who they are listening to. We know it is vital to be sure we are seeking Godly counsel, Godly wisdom, Godly advice and that our family is doing the same thing. We are diligent about making sure who our children and teens are hanging out with because we know how influenced they are by their peers. We are careful about what we watch on TV, what radio stations we listen to, what teaching/preaching we are hearing to be sure it is Biblical. There is something that we listen to and believe that sneaks into our minds and totally miss it. Ourselves!!! · My husband does not love me or he would…. If you and I would stop and honestly take inventory of what we tell ourselves we might be amazed at how much of what we say is not true!! Much of what we tell ourselves are lies and then we not only believe them, but we act on them!! As I was reading through Psalm 119 the other day I came upon a verse that hit me straight in the face!! Verse 29 says “Keep me from lying to myself; give me the privilege of knowing your law.” What!!??? “Keep me from lying to myself”!!!??? Oh, my chili how I needed to hear that!! I am FOREVER lying to myself and am convicted that I MUST begin to tell myself the Truth!! Let me encourage you as well….listen to what you are saying to yourself….seek the Lord to determine what is Truth and what are Lies….then…..TELL YOURSELF THE TRUTH!! Would you be willing to share with us some of the lies you tell yourself? Perhaps it would help many of us see that we are telling ourselves the same things!! Be free my friend! There is a saying that goes something like this: "You don’t know what you have until it is gone.” That is so true! I have been back in Arkansas for almost a year and half and missing my Tennessee sisters is still a very real emotion. Oh, I can keep up with you ladies through Facebook, but it is not the same. I cannot come to retreats or give you a hug in person. In Nashville area alone, I had some pretty wild and crazy ministers’ wives friends who brought a lot of laughter to my soul. I do not say all this to sound sad or to be emotional. God is doing a good work here in Arkansas among the ministers’ wives. We still have a long ways to go but we are working toward a goal of connecting our wives. Our big accomplishment this year is that we now have a public blog spot called A Common Bond. You can find our link at www.minwives.com. 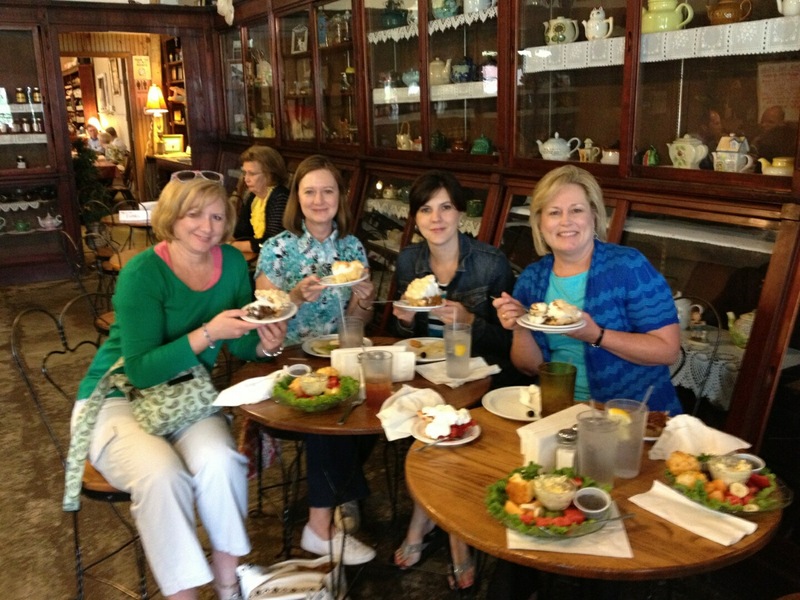 Like Tennessee, our contributors are volunteers but we share a common bond of being sisters in the ministry. I hope you will take a moment to read some of the post from our writers and leave a comment. Through working with the ministers’ wives here, I have discovered some pretty special ladies. In my association we have formed a Ministers’ Wives Fellowship and try to meet once a month. We are small right now but it is great fellowship. Our recent outing took us to a little place in Keo, Arkansas called Charlotte’s. Girls, you have to get there early and make sure to order your homemade pie first! (Yes, I had homemade chocolate pie.) It was great fun, and I discovered the blonde pastor's wife at my table is a fellow chocoholic. Ah, the joys of bonding! I will always miss my Tennessee sisters but God is developing new bonds among my sisters here. I am personally glad we live in the technology age, because no matter where God plants us in our ministry journey, we can still connect. We can still ask for prayers, encouragement, advice, and share a funny thought. Isn’t that what being a sister in the ministry is all about? Arkansas sisters enjoying some homemade pie from Charlotte's. Have you ever felt beat down and worn out by ministry? Have you felt disappointed or angry with a certain member of your congregation or about a certain situation within the church? Have you been attacked for your ministry? Have you ever just wanted to throw in the towel, say "I quit" and then overdose on chocolate? I certainly have, and I believe we can all honestly admit that we have at least thought these thoughts. Personally, I have wanted to lash out so many times at hateful, evil people in the church, but God always restrains me. Just last night I overheard a conversation in which one gentleman did not like any changes that were occurring within the church. He was absolutely against any and everything even though the church body is excited about what God is doing. I wanted so badly to remind this gentleman that God was in the process of doing something wonderful and exciting in our church. However, God would not allow me to speak. He reminded me that as ministers we are to be humble servants. He reminded me that Jesus suffered great trials, frustrations, and at times was extremely heartbroken. Hmm, I wonder if Jesus wanted to to quit and towel in the towel when He was being nailed to the cross. Even if He did, I am so glad Him followed through on His final mission so that I could have eternal life. Ladies, our families are called to the highest service-God's service. You certainly do not go in to this line of work for money, fame, or even to please everyone. Many times ministers and their families never receive a thank you for their work. However, 1 Peter 5:6 reminds us that we are to be humble servants. One day when we reach our eternal home, we will be exalted by the Creator Father God and be presented with riches and honor. How are you being God's humble servant? Well, ladies, it’s that time again! 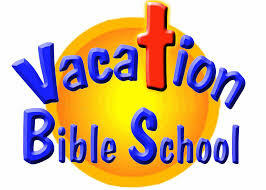 That’s right: Vacation Bible School! Are you ready? We all know that this is a special time of outreach and evangelism for many churches. This year our Bible verse theme is 2 Timothy 1:7, “For God hath not given us the spirit of fear; but of power, and of love, and of a sound mind.” If you read my blog earlier this week, I also shared this verse when I wrote about facing our fears. I had mentioned that God has solutions from His Word on how to deal with those menacing feelings of fear and worry. So from the VBS curriculum adults, and as well as kids, can learn how to face fear and learn to trust God. I look forward to teaching the little ones about how they can overcome fear in their own lives, and also let them have fun in the process! This year I am once again working with the first and second graders (that age seems to be a “good fit” for me since I also teach the same age group in Sunday School and Children’s Church). The subject of fear has come up many times in different lessons I have taught them in the past, and it is interesting to see kids talk through what makes them afraid; the best part is getting to show them that God is bigger than anything that they can face, and He is always with them---and we need to learn that important lesson too! We do serve a mighty BIG GOD who can calm ALL of our fears! So for all of us who are gearing up for another year of fun, fast-paced lessons , crafts, music, and snacks, let us remember that we do our work for the Savior, and may the Lord do a mighty work through your church as He uses you this year to minister to the masses in VBS!! What are you afraid of? If we are honest with ourselves, we have to admit that we are afraid of something…..right? Personally, I detest snakes, spiders, and most slithery creatures. But what about the fears that we cannot necessarily touch with our hands, such as fear of failure, loneliness, inadequacy (what pastor’s or minister’s wife has not faced this fear! ), rejection, persecution, failing health, insufficient finances, and many more than I could possibly name. These fears are very real, and the effect that they have on us can be debilitating. God has not given us a spirit of fear, but of power, and of love, and of a sound mind. 2 Timothy 1:7 (KJV) (This is our VBS theme verse this year!) God has given us power…we have the Holy Spirit, and we don’t have to be afraid. Do not fear, for I am with you; do not anxiously look about you, for I am your God. Isaiah 41:10 (NASB) God is our protector, and He is ALWAYS with us. Have I not commanded you? Be strong and courageous! Do not tremble or be dismayed, for the Lord your God is with you wherever you go. Joshua 1:9 (NASB) We are commanded by our Lord to be strong and have courage, and once again He promises to be with us at all times and in all places. So do not worry about tomorrow; for tomorrow will care for itself. Each day has enough trouble of its own. Matthew 6:34 (NASB) The Lord is in all our “tomorrows”. We can trust Him to provide for the future. When I am afraid, I will trust in You. Psalm 56:4 (NIV) We can completely trust our God to ease our fearful hearts. Can all your worries add a single moment to your life? Of course not. Matthew 6:27 (NLT) Our lives are not extended, nor the quality of our lives enhanced by fear and worry. Even to your old age and gray hairs I am He, I am He who will sustain you. I have made you and I will carry you; I will sustain you and I will rescue you. Isaiah 46:4 (NIV) How wonderful of the Lord to promise to take care of and sustain us even into our “golden years”. Of course, this is not an exhaustive list, but we can see from the Scriptures that we have promises from a Faithful God that we don’t have to succumb to fearful and worrisome thoughts. So when those kissing cousins fear & worry start to invade your mind and heart, and incite you to take your focus away from the Lord, remember His Word. Sometimes our own flesh and the enemy of our souls, Satan, are relentless in getting us to take our minds off of Christ. Saturday was a very busy day....running around trying to get some things accomplished. Worked on a baby shower gift most of the afternoon......worked on V.B.S......wrote birthday cards for May and June....(Yes, I know.....I am VERY late with May's....but I figured, better late than never.) Also, made cheese ball for baby shower.....washed clothes, etc. I did not have to cook supper. Our son smoked Cornish hens, which I might add were delicious. And, our daughter-in-law fixed the rest which was also delicious, especially the homemade key lime pie. Tonight, I took a shower....worked on the church bulletin.....and finally sat down to finalize the preschool Sunday School lesson. In our busy lives....it is not always easy to find those quiet still moments............so you need to grab the moment when you can. Tomorrow will be another busy day. Sunday School and Church which is 32 miles north. Grab some lunch and head to Children's Hospital in Knoxville to visit a church family......then back to church by four for the baby shower....then church at six....then meet our daughter afterwards to exchange things.